In early 2017, I had had it with the media, the headlines, the social media ranting & raving. I could feel my head spinning out of control... I noticed I was beginning to spend much more time on social media and my emotionally-charged screen-sucking was starting to take a toll on me. I was beginning to get tension headaches again, feeling restless at night and exhausted in the mornings which led to a hard time concentrating on the things I needed & wanted to get done. The things that actually mattered to me; you know, the stuff I had actual control over. SO, I decided to do a digital detox for 28 days, the whole month of February. It was an experiment to consume less and become more aware of not only how I spend my time, but how I choose to spend my time online. At the end of February, I felt lighter. I felt more at peace and a whole lot more like myself. Here are some tips for designing your own digital detox in a way that works for you -- because let's face it. Most of us require some screentime to do what we do. But there are ways to play with it and tweak our routines to create a healthier flow and reclaim our power. Take a moment to decide if it would be best for you to totally unplug (like ev-er-y-thing) or not. We all have our ways and I'm not claiming to know what is best for you. Only you know that and can decide that. I have a friend who freely ditched her iPhone for months. I couldn't do it. What really needs to go? And what can you limit? Do you need to lay off the post or publish button for a while? Or just consume less news or time trying research whether it's fake or not? You may not be able to really wrap up your laptop or tablet and store it in the closet for a month if you use it for work, or ditch your phone when that's the only way your kids can reach you. But.. you may be able to cancel your Netflix account for a month if you tend to binge watch at night instead of getting the full night's sleep that you need to heal your body. Maybe you can even delete some apps on your phone that you tend to spend more time on than you'd care to admit, to get more work done. A great way to get clear on what needs to go and what needs more limits is to do what you normally do for a few days, but track it. Write down how long you played that game or scrolled thru Facebook or engaged in a Twitter rant or debate with a (perceived) political opponent. Our brains tend to work with us when they know what's going on. So decide. Set a date to start and a date to stop, so your brain knows what the hell is going on. Don't be wishy-washy with yourself about it. Don't see how it goes or how you feel after x amount of time. Commit to a timeline that feels reasonable, beneficial and doable. I found it easy to begin at the start of a month, but you may not want to do a digital detox for a whole month. Maybe a few days is all you need to recalibrate or maybe you'll want to do it for longer! <-- And if so, Kudos to You! Whatever you decide, make that commitment to yourself. If it feels good to let someone in on it to help keep you accountable, even better I'd say. When I did my digital detox, it was largely to release the negativity I was swimming in on Facebook. But I didn't want shut down my account completely & risk not seeing the cutest thing my friend across the country's baby just did. So I prepared myself for my month-long detox by selectively designing my Facebook feed to include ONLY what would fill me up and not drag me down. I was determined to make it a space for me to feel connected and high-vibe. And that's not on Facebook, that's on me. I chose a couple of pages that I wanted to "See First". Actually, Uplifting Content was one of those pages. I went through my contacts, friends and fan pages and got super selective. If what they were sharing didn't align with my values and dedication to feeling good about how I spent my time, it was out. Same goes for emails... unsubscribe, lighten the load, be selective. Before long, I had curated feeds that made me smile. The ultimate reward for designing a digital detox that works for you is that essentially, you're reclaiming your time. A valuable asset and the very thing we lose when we unconsciously scroll and bicker and consume stuff online. Your time is important, moments matter. So get clear about how much time you will spend online, if any, during your detox. How much time will spend on social media? That quote says it all, doesn't it? You get to decide how you will spend each moment of the day. Turn off the autopilot by choosing how much time you plan to spend glued to a screen, so you can actively live your life on your terms. That's what a digital detox is all about. Reconnecting you with yourself, and what really matters to you. Taking your moments back. 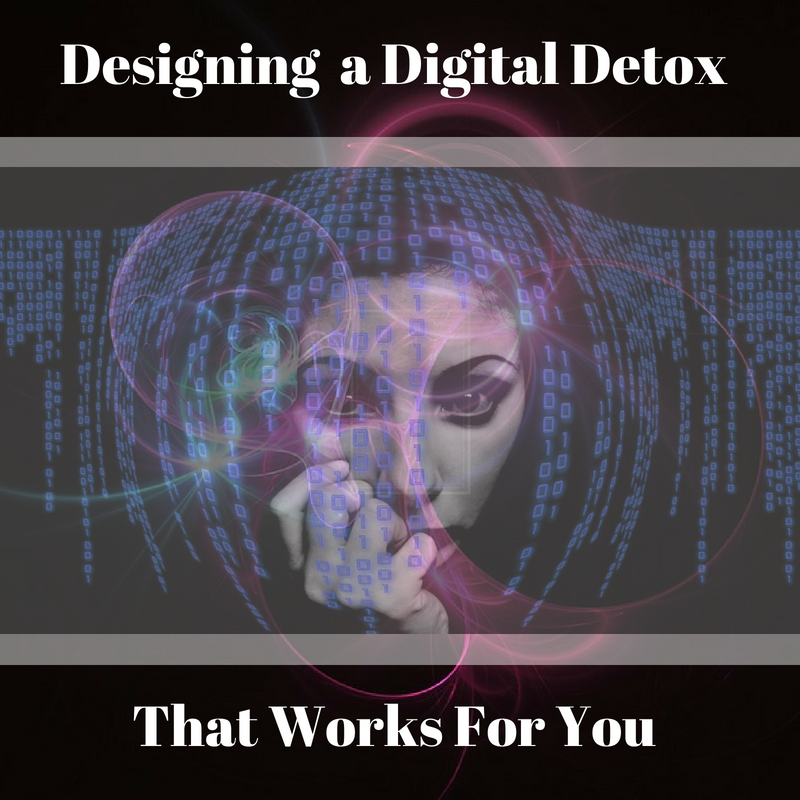 Get to the magic of designing a digital detox that fills you up and doesn't drag you down! And let me know how it goes in comments or over on #Instagam! P.S. Limited Readings available this Summer! So if you'd like one sooner than later, check out the reading options available for you HERE. 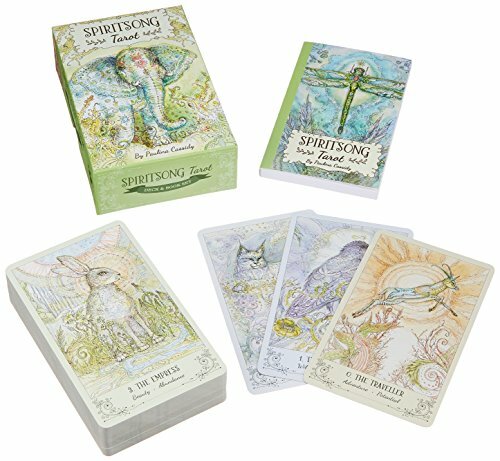 Jut want a quick monthly reading to get you focused for the month ahead? For only $3 you can join me in the Ace of Cups Cafe for monthly mini-readings and exclusive content right here!